First single ‘As Our Bones Break To The Dance’ launched! Pre-order live! 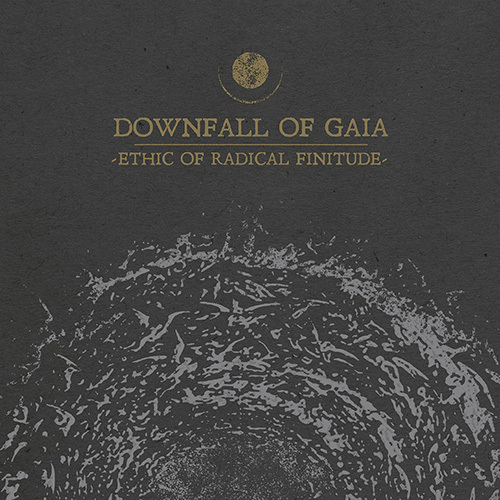 February 8th, 2019 sees DOWNFALL OF GAIA release their anticipated new album ‘Ethic Of Radical Finitude‘! Tracking for the album was handled at Hidden Planet Studio, Berlin by Jan Oberg, and Backroom Studios in New Jersey by Kevin Antreassian of Dillinger Escape Plan, and proved an entirely drama-free process, with everyone on the same page. A handful of guests also contributed their time, including some faces familiar to longtime followers of the band – rejoined by guitarist Peter Wolff, one of the founding members of DOWNFALL OF GAIA, on “Seduced by…” and the drones on the songs “The Grotesque Illusion Of Being” and “We Pursue The Serpent Of Time” come courtesy of their former drummer Johannes Stoltenburg, aka Hidehidehide. “Working together and creating something new with former bandmates is a very special thing. Even if our ways had to split at some point it’s a true pleasure to get together again, with everyone bringing in their own new influences,” Goncalves dos Reis enthuses. 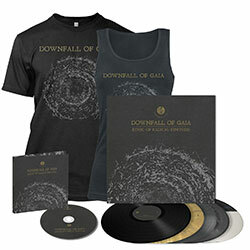 Furthermore, they collaborated with Nikita Kamprad from Der Weg Einer Freiheit, who added vocals to “We Pursue The Serpent Of Time”, and spoken words for the song “Guided Through A Starless Night” were supplied by their friend Mers Sumida of Black Table. Unlike its predecessors, ‘Ethic Of Radical Finitude‘ is not a concept album per se, but there is a core theme that unites the songs: discontented minds and the never-ending pursuit for more. “I guess everyone in life is trying to find this special ‘warm’ and safe place, their special place. To feel ‘home’, to feel ‘safe’, to feel satisfied. But maybe at some point you need to accept that it may never come, that you will never ‘arrive’,” Goncalves dos Reis asserts.